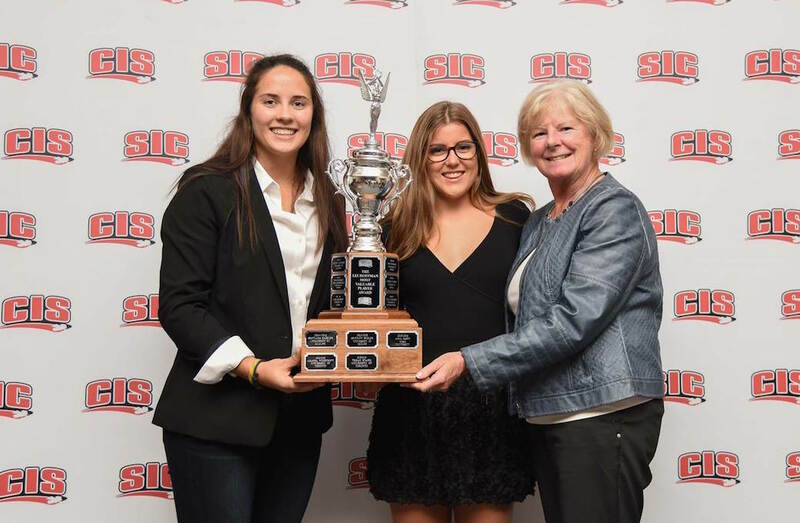 Rachel Donohoe, a fourth-year forward from the University of British Columbia and Olivia Lane a third-year forward from the University of Guelph, were named the U Sports co-players of the year in women’s field hockey, Wednesday morning. Donohoe a North Vancouver, B.C., native became the fourth UBC winner of the Liz Hoffman Award, and first since 2011. She follows in the footsteps of Robyn Pendleton, who won five years ago, Christine De Pape (2006) and Stephanie Jameson (2004). Lane, who hails from Guelph, is the third different recipient of the award, after former Gryphons Brittany Seidler (2012) and Brienne Stairs (2009 & 2010). Other winners announced at the All-Canadian Banquet held at the Toronto Marriott Bloor Yorkville Hotel were Toronto midfielder Rachel Spouge, who captured the Joyce Slipp Award as rookie of the year; Victoria defender Annie Walters-Shumka, who merited the Gail Wilson Award for her outstanding contribution both on and off the playing field; York head coach Zeeshan Minhas, who received the Marina van der Merwe Award; and Canada West referee Tyler Klenk, who was named official of the year. The 2016 CIS - Field Hockey Canada championship gets underway Thursday at the University of Toronto and culminates Sunday at 3 p.m. with the gold-medal final. 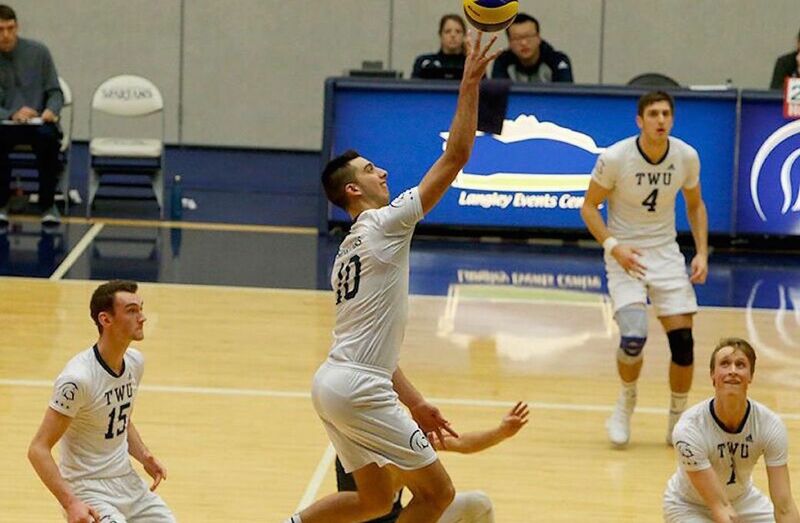 Donohoe, a fourth-year kinesiology major, made her return to the UBC Thunderbirds this season after spending 2015 playing professionally in Germany. Donohoe is the lynchpin of the T-Bird defense, a relative black hole for opposing forwards. Offensively she is a gifted playmaker who starts rushes for UBC’s offense with her pinpoint passes from the back-end. A clinical finisher who can score goals when given the opportunity, Donohoe played her high-school field hockey at Argyle Secondary in North Vancouver, B.C. Lane finished the 2016 regular season as the OUA's leading scorer with 17 goals in 12 games. During the OUA Championship tournament, the Guelph native scored four goals in three games, including the lone goal in a 1-0 win over Western in the OUA Semifinals that secured the Gryphons a spot in the CIS Championships. Rachel Spouge, a first-year midfielder from West Vancouver, B.C., became the first Varsity Blue to earn U Sports rookie of the year honours since Amanda Woodcroft in 2011. Spouge has been a focal point of the Blues attack and scored her first career goal in Toronto's 4-3 loss to Guelph on Sept. 24. Defensively, she helped lead the Blues to an OUA-low eight goals against this season. Victoria midfielder Emily Wong was also in the running. A four-time CIS Academic All-Canadian and a Canada West All-Star in two of her five years with the team, Walters-Shumka has been an important member of the Vikes team both on and off the field. The Vikes co-captain spends much of her free time volunteering as a medical intern, clinic volunteer, ambulatory care unit volunteer, Active Start program leader with Special Olympics, math and science tutor and field hockey coach. Walters-Shumka volunteered in Nepal this past summer as an under-graduate medical intern. While in Nepal, she also volunteered in a Diabetes Clinic helping to educate people about the disease. Last year, she was named a CIS Championship All-Star after helping lead the Vikes to CIS silver on home turf. Despite her multiple commitments on and off the field, she manages an 8.5 GPA (on a 9-point scale) in the faculty of Science. Toronto defender Alison Lee was also nominated. Zeeshan Minhas has made tremendous strides with the Lions field hockey team since he took over as head coach in 2013 and becomes the first York bench boss to receive national recognition since Marina van der Merwe claimed the same award in 1999. Minhas has overseen a steady improvement in the Lions since he took over four seasons ago and this year guided the team to a 7-2-3 record – its best finish since 2010. The Lions were the most improved team in the OUA this year, earning two more wins and seven more points than last season to finish in third place in the standings. They were also significantly improved on offence and defence, scoring 12 more goals and allowing 13 fewer than last year. Minhas, who was an assistant with the Lions for two seasons before taking over the lead role, is also the head coach of the Dolphins Field Hockey Club in Scarborough, Ont., and this past summer was the head coach for Team Ontario Red, leading them to the gold medal at the U16 national championships. Victoria’s Lynne Beecroft was the Canada West nominee for U Sports coach of the year honours. Tyler Klenk is the second Canada West umpire to garner national umpire of the year honours since the award was first handed out in 2011. Training with the junior national team, Klenk made his international debut at the World Cup Qualifier in Toronto this past summer. Klenk will be umpiring in Malaysia in Men’s World League competition in the new year. Ozias D’Souza, who officiates in the OUA, was also in the running. The all-Canadian team was also announced on Wednesday. Joining U Sports players of the year Rachel Donohoe and Olivia Lane and Gail Wilson Award runner-up Alison Lee on the 11-member unit were defender/midfielder Kathleen Leahy and defender Lizzie Yates of Victoria, defender Ciara Condon of Guelph, midfielders/forwards Hannah Haughn and Stephanie Norlander of UBC, midfielders Cassidy Nicholls of York and Emma Wingrave of Toronto, and forward Amanda Kurianowicz of Victoria.